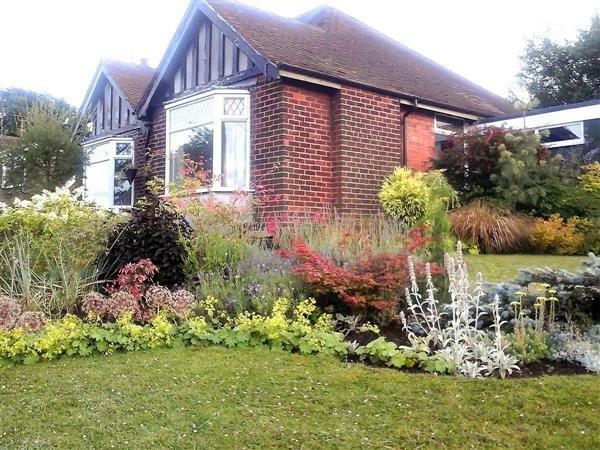 Ashlea in Skegby, near Mansfield, Nottinghamshire sleeps 6 people. Ashlea near Mansfield is a lovely bungalow which is situated on the Nottinghamshire and Derbyshire border, and provides wonderful cosy accommodation ideal for up to six people. It is the perfect getaway for exploring this beautiful and varied part of the Peak District and Nottinghamshire. This lovely single-storey property offers a well equipped kitchen and a comfortable living room with a wood burner, ideal for those cosy nights in. There are three bedrooms, a large bathroom and an extra shower room. There is also a bright conservatory, making this property a wonderful place to stay in and relax. Directly from Ashlea, you will find walking and cycle routes over the Teversal and Pleasley Trails Network. Teversal is close to the Derbyshire border, and is ideally placed for visiting Hardwick Hall, now managed by the National Trust, with its six grand towers elaborately monogrammed with Bess of Hardwick’s initials. Close by, the historic town of Chesterfield acts as the gateway to the Peak District and has much to offer visitors. Chesterfield is famous for its 14th-century church with the ‘crooked spire’ twisting curiously from its true centre. Market days are excellent for exploring specialist stalls, the old market hall and the charming shambles. Discover the popular semi-rural 17th-century mansion of Bolsover Castle, set on a wooded top looking west towards the heights of the Peak District. Also worth a visit and within easy reach, are the impressive Chatsworth House and Haddon Hall and the pretty village of Matlock Bath. Take a well-earned break from exploring the natural beauty of the Peak District and head into Bakewell to try the famous Bakewell pudding! Whilst in Nottinghamshire, why not visit Nottingham Castle, and The Major Oak at Edwinstowe in Sherwood Forest? The shop is ¾ mile from Ashlea near Mansfield, with the pub 1 mile and the restaurant is 1½ miles from Ashlea. Ashlea near Mansfield is all on the ground floor. Kitchen/dining room: With electric oven, gas hob, microwave, fridge and dishwasher. Gas central heating, gas, electricity, bed linen, towels and Wi-Fi included. Initial logs for wood burner included. Welcome pack. Large garden with pebbled area and garden furniture. Private parking for 2 cars. No smoking. Holidays at Ashlea run from Friday to Friday. Ashlea is in Nottinghamshire; should you be on the lookout for a special offer, you can find all the special offers in Nottinghamshire. It's always worth checking to see what is on offer at the moment. Do you want to holiday near Ashlea (UKC2861), you can see other cottages within 25 miles of Ashlea; have a look to find your perfect holiday location.